In the 1990s, I was part of a U.S.-based academic team that went to Israel to encourage fellow academics and university administrators to build courses and programs in the field of conflict analysis and dispute resolution. While visiting faculty at the Tamar Steinmetz Center for Peace Research at Tel Aviv University, I was privy to some of the preliminary conversations on the development of a master’s degree in conflict resolution and mediation program to be taught in Hebrew. It was from this one seed that the English language program was conceived nearly a decade later and where I spent my Fulbright experience. As a Fulbright U.S. Scholar to Israel, I focused on the development and launch of the English language master’s degree program in international conflict resolution and mediation, teaching several courses, conducting research on every graduate conflict resolution program in Israel and establishing a collegial network to explore future research opportunities. Every objective was met primarily because of the gracious support, encouragement and collaboration from my colleagues, especially Dr. Eppie Ya’ar, my sponsor. Since my 2010 Fulbright, I have been back to Israel nearly a dozen times to teach and work on projects, the most notable being a cross-border cooperative effort among Israeli, Palestinian and Jordanian scientists regarding water usage in the Jordan River Valley. 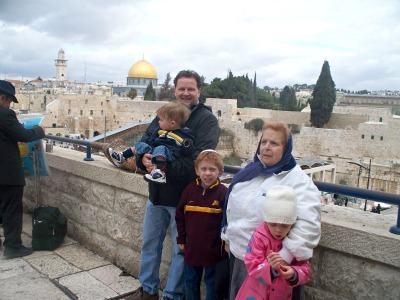 My Fulbright grant also introduced my family to many cultures and communities within Israel. Anywhere we traveled, we would always find close-knit families and communities even amidst the fast routine of city life. Our children didn’t speak a word of Hebrew, but within a few months the older two became fluent. We lived in the Ramat Aviv quarter of north Tel Aviv, across the street from where I worked in the Evens Program on International Conflict Resolution at Tel Aviv University. The neighborhood is located within a park that allows one to walk to the local elementary school, shopping center and playgrounds without having to cross any streets so it was a natural location for many young families. It was here that my three children made many long lasting friendships. Many of the faculty live here so it made for a nice location to professionally network while spending time with the family. with the kids surrogate grandmother, Lenore. Fulbright is a life changer. By taking part in the project at Tel Aviv University I was introduced not only to leading researchers in Tel Aviv but throughout the entire country. This experience also provided an opportunity to do something with my family that we will cherish for many years to come. The experience allowed me the time and space to be perhaps the most productive in my entire professional career and yet it was also the most relaxing. I was able to walk my children five minutes to the local school and then another five minutes to the office. At any given moment, we could take the bus downtown or walk to the beach or jump in the car and head to Jerusalem, Nazareth, or Bethlehem and be home in time for dinner. 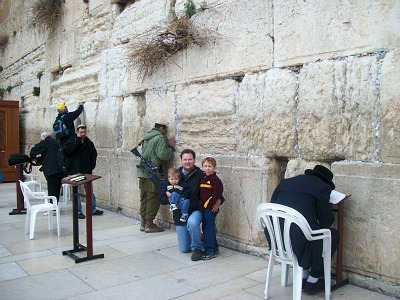 Israel provided the perfect locale for memories that will last a life time. If you need a life changer, then seriously consider the unparalleled opportunities that Fulbright can provide. You will not regret it. Since completing Fulbright in 2010 I have been repeatedly invited by my Israeli, Palestinian and Jordanian colleagues to collaborate on several high profile environmental negotiations and cross border collaborative projects that are quietly reaping benefits to all people in the region.